Clients are inevitably pleased to discover that Jill’s casual laidback manner is every bit as inviting as the designs she creates. Her confidence and tireless work ethic betray her passion for creating distinctive, strikingly personal designs, deeply inspired by those who will inhabit her spaces. It is easy to see within her work the singular perfectionism that drives her in creating spaces that are more than just beautiful, that transcend into the ideal. Inspired by her clients’ individual personalities, needs and visions, Jill crafts warm and inviting home environments that truly reflect each clients’ unique flair and lifestyle. Informed by her own intrinsic design sensibilities, Jill is able to create spaces that are amazingly welcoming and livable. The result is remarkable, and it has propelled Jill’s career considerably, earning her firm multiple awards, recognition and expanding her firm’s reach to clients both in Vero Beach, and throughout the country. 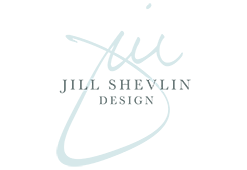 Jill is a very “hands-on” designer, and she operates her firm collaboratively, emphasizing personal service just as much as personal design. The firm prides itself upon exceeding client expectations, and has earned a reputation for creating an extremely loyal following of clients. A Florida native born in West Palm Beach, Jill is well regarded as an expert in oceanfront property and seaside design. She currently lives in Vero Beach with her three dogs Zeke, Amelia and Emmitt.